LinkedIn is the biggest social networking site for business with over 200 million users worldwide with more than 10 million in the UK alone. It is also one of the principal search tools used by businesses to hire people, including 85 of the Fortune 100 companies. As a test of its relevance try googling your name. If you have a LinkedIn profile the chances are that your LinkedIn profile will appear in the one of the top five results. This means that any employer searching for information about you will almost certainly visit your LinkedIn profile first. Photograph: Ensure your profile is comprehensive by completing all sections. Although you would not include a photograph on a CV you should on your LinkedIn profile. Make sure it is in a professional setting though – this isn’t Facebook. Experience – multi-site operations, benchmarking, TUPE, change management, public sector, P&L responsibility or budget forecasting. Keywords can be used throughout your profile, but make sure they are relevant to the section – don’t shoehorn ‘strategic alliances’ and ‘stakeholder management’ into the Education section just because you want it to show up on searches. LinkedIn allows you to choose up to 50 relevant skills and expertise and you should choose several that are relevant to your background. It helps when recruiters and hiring managers are conducting searches. Connected to this section, LinkedIn has recently launched Endorsements, which allows you to ask for recommendations from your connections for your skills and expertise. Again, well worth sending out a few requests to your network of contacts. One sentence about what you do i.e. your particular area of expertise. One sentence overview of your experience. Ensure your dates of employment are accurate. Include 3 – 5 points relating to your skills that also incorporate your achievements, but avoid cutting and pasting your CV – keep it relevant and brief. Getting feedback from your network of contacts is extremely useful because it shows potential employers that colleagues, suppliers or clients are happy to recommend you. This can be a powerful testament to your ability and acts as evidence for your application. Try to get recommendations or endorsements from connections for each company you have worked with, as this will reflect consistency of your great performance. This is similar to Endorsements but more comprehensive. Include your Twitter username and Facebook profile (as long as these are business appropriate). The site allows you to edit the URL for your profile page. Make sure this includes your name as it will help your profile to show up on Google searches. How you tell your story can make the critical difference in whether you pass a job interview with flying colors or blow it. For many people telling one’s story can be extraordinarily challenging. How do you showcase your accomplishments without bragging? How do you present as someone both confidant and yet able to take direction? How do you show that you are both a take-charge leader and a team-player? How do you explain job failures, such as why you were let go from your last job? Or the fact that you are going back to work after a break of twenty years? The old riddle “How do you get to Carnegie Hall?” and the rejoinder “Practice, Practice, Practice” is most applicable. Practice does indeed make perfect. Acknowledge first that in every loaded situation—a first date, a college interview, a job interview—a person is going to feel anxious. A lot is at stake. You are meeting a stranger. A lot is a function of chemistry and of expectations, on both sides. In the best of circumstances, it is difficult to strike the right balance between presenting your best features in a succinct fashion and sounding arrogant. Next, do some homework. Research the position you are applying for. Use social media to learn more about the person you are meeting with. Make sure to beef up your own profiles on social media. Even if you do not go there, you can be sure the person you will be meeting with has already done his or her homework on you! Now take a hard look at your resume. What questions would you ask someone with this resume, given what you have learned about the job? Jot these down. 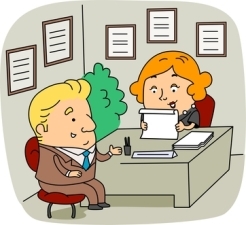 Find yourself a good partner to practice interviewing with and practice several times. Think of questions you may want to ask the person interviewing you about the job and practice asking them. As you simulate interview conditions, ask your practice partner to focus on how you come across, specifically, your tone of voice, body language, confidence. Would he or she hire you? If yes, why, and if no, why not? Finally, pick out a conservative outfit to wear to the interview, clothing appropriate to the job. If you have any doubts about the interview dress code, ask a colleague who works in the same company or industry. And now relax and have a good night’s sleep. With preparation you have the confidence it takes. The rest is in G-d’s hands—and for those who don’t believe, a matter of luck. The important part is you will know you have done your best. A recent article on Ynet focuses on the job situation in Israel. Like everywhere, it is the over 50’s crowd that is having the hardest time adjusting to the job search vintage 2012. The reason is transparent: Older people are not as tech savvy as their children and grandchildren. Many have never adjusted to the digital age and are not adept at finding their way around the web. The last time they looked for a job was in the 1980’s and they prefer looking for jobs like they did then—in the classified section of newspapers. Like it or not, some of today’s best classifieds are on the web. 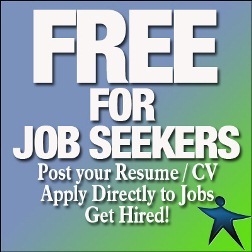 By not looking online, whether on job boards or social networks, job seekers miss some wonderful opportunities. The YNET article chronicles the plusses and minuses of seniority. On the plus side, there is no substitute for experience. Most individuals who have survived in the same job for thirty years have proven their mettle in navigating office politics and executive turnover. Older workers also bring stability to an organization. A recent survey shows that members of Generation Y change jobs every every 3.5 years on average. Young people are on a constant search for progress, fulfillment and success, whereas older workers bring a sense of loyalty and lifetime dedication to their work. Employers need some of both—a stable core of workers to maintain the organization’s corporate culture and some brash out-of-the-box Gen X and Y’ers to challenge old assumptions and keep the organization on its toes. On the less bright side, older workers must face the fact that we live in a ”disposable” culture which venerates youth and often does not respect for age or wisdom. Rather than fight the culture, career coaches urge older job seekers to go with it. Find out the cutting-edge skills that an employer wants, and acquire them. Take stock of your assets, believe in yourself, and learn how to present your strengths well on paper and in person. Judaism—as well as other cultures such as Japanese and Chinese– venerate age and wisdom. Jewish belief teachers that EVERY individual of EVERY age can make a significant contribution. There is no question that experienced workers have much to give. The challenge is issue is bringing them from a state of unemployment to successful hire. To help unemployed individuals of all ages, Jewsih Jobster is rolling out an intense six month program called Jobs 4 U. It will help everyone—including the older worker—acquire the tools needed to navigate today’s job market. We are also rolling out a sponsorship program for those who cannot afford the cost. Jewish Jobster is there to help. We look forward to hearing your success stories! Job Seeker’s New Year Resolution: Network! 2013 brings with it fresh energy, determination and of course New Year’s resolutions. For those of us looking for a job, the end of the “holiday” period signals a return to pounding the pavement. How many of us have not heard, “Get back to me after the New Year?” That time is now. Where do we start? Networking is critical. And a key way to network is through social media. LinkedIn has many savvy features. If you are interested in a specific company, connect to them through a company search. LinkedIn now has Bloglink and Twitterlink, which allow you to link recent blog and twitter posts to your profile. It also has nifty status update capabilities, as well as a way that you can actively strut your stuff through a professional headline. Here’s an actual sample from Ed Han, New York City: “Wordsmith with proven ability to translate business objectives into communications strategies and tactics.” You get the idea. (2) Facebook: While more a social medium than Linked In, Facebook can be a valuable source of job networking connections. Remember that your friends generally trust and like you, and trustworthiness and likeability are important features to look for in a potential employee. On a practical level, job seekers have found posting notes on Facebook to be more effective than sending updates, since notes tend to stay on the screen longer. It is also helpful to tag references to friends on Facebook in your blog posts, which will spread your message across a wider network of contacts. (3) Twitter: Twitter connects a wide universe of strangers based on common interests. It is thus the ideal tool to expand and reach beyond your circle of professional (Linked In) and social (Facebook) contacts. The best way to capitalize on Twitter as a job search tool is to use your real name as your Twitter handle (rather than a fictitious moniker), and to be pro-active in reaching out to people who may lead you to a job. Don’t be shy. Share what you are looking for. Tweet about your search and your interests. Put your message out there and you will be rewarded with followers and tweets. Research about those you are following and those following you is critical to maximizing effective use of Twitter as medium for effective networking. The number and versatility of Twitter search tools is dazzling. Find the one that is right for you and start tweeting. Were these suggestions helpful? Let us know. May this be a happy and prosperous year for all! With the Jewish New Year comes a ten day period of soul searching leading up to the holy day of Yom Kippur. For many, these ten days fall against a backdrop of what may seem like a protracted and endless job search. The net effect depends on how we deal with challenges and how zealously we seize the opportunity to renew our resolve and refresh our spirits. Our soul searching is structured through specific additions to the daily prayers. In the job search as well, we must make sure to institute daily routinized activities that will lead to gainful employment. These should include daily searches of relevant job boards and search engines—Jewish Jobster included!—as well as calls to recruiters and job coaches. If we have business cards we should take them with us everywhere; one never knows who one may meet in the course of the day. retrofitting to meet the demands of the 21st century market is the key to successful job placement. succeed. Tracht gut, zul zein gut—think good and it will be good. Renewal is embedded in nature. Each morning the sun comes up and fills the world with light and hope. gifts and find a way to bring them to full fruition. With hope and with resolve, we can realize the blessing of a happy and fulfilling year. Jewish Jobster is very excited to announce the addition of Rebecca Skov to our team assisting job searchers. I asked Becky about her approach, and what she has to offer job hunters. Rachel: Becky, how did you get involved in helping people find jobs? Becky: When I worked as a recruiter, I continually saw applicants make the same mistakes over and over again and then wondered why they weren’t having success. In that environment, I simply didn’t have the bandwidth to provide personal feedback to each applicant. It was my passion for helping people which drove me to change my career path from being a representative of the corporation to serving as an advocate and partner to the job applicant, providing an insider’s perspective on what works and what doesn’t in the job search process. What is unique about your approach? Most career coaches utilize personality tests and career exploration questionnaires aimed at helping you discover what type of position fits your personality. These are great things to learn about yourself, but plain and simple, my goal is to get you a job! As a career coach, I will explore your specific marketable skills, and then work with you to make sure you are marketing yourself appropriately in your application documents, ensure you are targeting the right jobs, and finally, guide you on how to highlight these traits in the interview process. I offer a completely personalized experience. I believe every person’s career history and job goals are unique and should be treated that way. I conduct a comprehensive phone consultation with every client, which not only provides me with an in-depth understanding of the unique value the client will offer their next employer, but also gives me insight into personality traits and career goals. 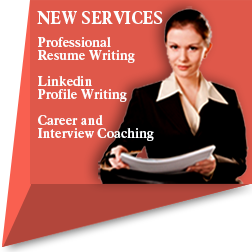 This personalized approach ensures the client’s resume, cover letter and Linkedin profiles accurately reflect their personality and professional attributes. How does technology fit into the picture? My philosophy on technology is that if you aren’t using it as the primary tool in your job search, you aren’t getting a job!! 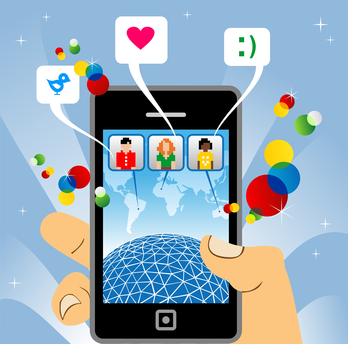 Social media should be a key piece of your job search. Any job recruiter will tell you that the way to find the best candidates is to source them through niche sites, professional associations (which people can join online or through Linkedin) and of course, through Linkedin. 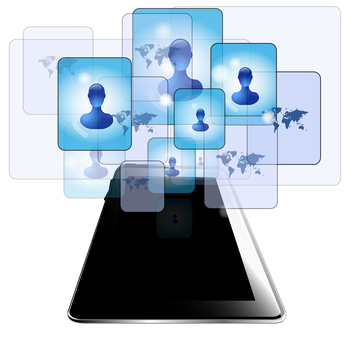 A job hunter must have a professional online presence and has to be utilizing social media in in his or her job search. For each position to which you apply, you should be going to Linkedin to seek the appropriate hiring manager and then sending them a personal inquiry through Linkedin. Think about it — some companies are receiving several hundred resumes for each position. So you, as job hunter, need to make sure you stand out, and not be just “a needle in the haystack,” by trying to make a personal connection. In addition to building a professional profile as part of my Linkedin package, I also provide a tutorial that directs my clients on how to utilize Linkedin in their job search. How does your approach fit with with Jewish Jobster? After speaking with the company’s CEO, I felt that Jewish Jobster would be a great business with whom to partner and to offer my career coaching services. Jewish Jobster and I share a very similar business philosophy, offering personalized business services to a niche group of job seekers. Jewish Jobster targets all levels of employment, including entry level through upper management. With my assistance, job seekers will be able to put together a compelling marketing presence, which will help in their job placement success. Thanks, Becky! Wishing you much success! For questions regarding her resume, LinkedIn or coaching services, please email Becky at Becky.Skov@JewishJobster.com. You can see her professional qualifications on our About Jewish Jobster page. As Jews enter Elul, the last month of the year 5772, we reflect back upon the year that passed and look forward with anticipation and trepidation to the year ahead. What will the new year bring? Will it bring health, good news and job security for all the members of our family? Will it bring peace and contentment to our very troubled world? I am sure I speak for many of us when I say the last year has been a roller coaster ride personally and professionally. I know I am not alone. I have watched as neighbors who worked the same jobs for years had their worlds turned upside down in the space of a few hours. I have seen people who donated generously and volunteered weekly distributing food packages for Shabbos to those in need turn from donors to recipients within the space of a few months. And I have seen those with secure careers face non work-related challenges. Question: How does one cope? Answer: Everyone copes in his or her own way. For those of us drawing sustenance from the Torah and Jewish tradition, there are two core beliefs from which to draw strength: faith (emunah) and trust (bitachon). Faith that every challenge in life is a test, and trust that the test is there to strengthen us as individuals. Faith that everything comes from the same Loving Source, and trust that even while the test is scary we can withstand it and even triumph. Could it be there is some reason– not visible at this time– why you are suddenly sitting at home rather than at your old desk? Perhaps to pay more attention to a child, or attend to an elderly parent? To spend quality time with your spouse? If you are single, to build relationships outside the workplace? Could it be it is to make you more sensitive to the poor person you previously looked down upon or turned away when they asked for help? Could it be that this is an opportunity to shift to a whole different line of work or explore volunteering—something you dreamed of but never dared to risk before? It is worth reflecting upon these hidden possibilities! If one is a believer, there is a purpose to everything. We must search for the meaning within, and seek out the sweet inside that lies within even the most seemingly bitter fruit. p.s. Have you discovered a hidden blessing in your situation? Please share it with us! Positive thinking and looking for the good in every situation are important keys to happiness and success. The late Rebbe of Lubavitch always counseled: “Tracht gut, vet zein gut–” Think good and it will be good. Replacing depression and negative thinking with positive thinking and hope itself creates new energies and fresh opportunities. One is able to function at one’s highest level. One’s mind and heart are open to see all the possibilities. Family, friends and colleagues, who want to be supportive, are drawn to our positive energy and are inspired to help in the best way they can. A study funded by the Robert Wood Johnson Foundation shows that positive thinking even makes a significant difference in one’s state of health. In findings published by Psychological Bulletin in April, 2012, individuals with positive thinking were found by Harvard School of Public Health to have lower blood pressure, better cholesterol levels and more normal weights. Julia Boehm, lead researcher in the study, said that this confirms dozens of previous studies that show that optimistic people have half the risk of a first heart when compared to those who were more pessimistic. The reasons for this are both physiological and behavioral. It appears that stress associated with negative thinking can actually lead to damage of arteries and the heart itself. Furthermore, people with more rosy outlooks on life tend to pursue healthful activities like exercise and healthier eating. And so, as we face the year 5773 together, let us—the Jewish Jobster community— resolve to fortify ourselves with faith and trust that the new year will bring us health, happiness and prosperity. Let us do our part by taking good care of ourselves—for our own sake and that of our loved ones. Let us free ourselves to envision new possibilities and infuse ourselves with hope of a fresh beginning. Girding ourselves with faith, let us pray for G-d’s blessings and for the strength and wisdom to grow into yet better and more compassionate human beings. p.s. I invite you to share with our community how you grew through your challenges, and what has helped you and your families cope during the last year. 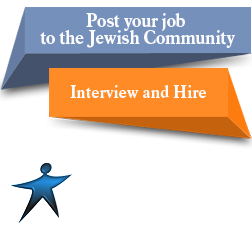 Welcome to the JewishJobster.com blog! I am excited to share periodic thoughts, member profiles, and other assorted tidbits connected with both the employer and employee ends of job hunting. Additionally, because I’m a teacher of Jewish studies, I’d like to share with you my own understanding of a traditional Jewish approach towards these issues. I’m also planning guest bloggers, and I welcome feedback, comments, and suggestions. The Talmudic quote sounds possibly strange, and, well, gross. Bear with me for a moment, while I try to explain what I think is happening with this piece of text, AND how this connects to job hunting. Hang in there with me. Flaying a carcass, is DISGUSTING, meaning here, low-status, reviled work. A cohen, a priest, at the time of the Talmud, was a person of high status in society. This thing is hateful to me, means, I despise this job. The phrase, “in the market,” refers to a public place, so everyone’s going to see him doing this job. A little background for Talmud newbies – it’s an immense hodgepodge of arguments, discussions, rantings, and musings, full of legal and historical material, metaphors, and spiritual secrets, from around 450CE. Rav and Rav Kahana were rabbinic colleagues during that time period. The Talmud is packed with these kind of little conversations that actually express an entire worldview. Rav, here, is expressing a Jewish attitude towards earning a living. He’s implying that earning a living is an experience that should be essentially dignifying, and preserving of the individual’s self-respect. Falling to a status in which a person is forced to rely on handouts will erode that person’s sense of self. A job search, is therefore, according to this text, a meaningful, spiritually significant experience, because it allows the job seeker to retain his or her basic human dignity. Job seekers, it is my hope that this perspective on the grueling process of looking for a job provides you with encouragement to keep you on your way! Coming soon – a spiritual perspective on the employee hunt! Thanks to DH, Yehoshua Hershberg, who helped me translate the text. Tom Krausz, resident of Scarsdale, NY, has extensive experience working in various aspects of high tech. After receiving both Bachelor’s and Master’s degrees in Engineering, Tom worked at RCA and Delta Resources, gaining experience in the computer consulting industry. Tom then moved to IMI sytems, where he spent 21 years, and eventually became Vice President of IT, Human Resources and Administration. After having his own company for PC support, Tom worked for two years IDT Ventures, helping new Israeli companies to raise funds and markets in the U.S. He also has extensive experience working with Quickbooks, maintaining the accounting of a retail store, where he is responsible for Accounts receivables, Payables and Payroll. Q: Tom, what exceptional qualities do you feel you would bring to any employer? A: I bring a wealth of experience in my years of computer consulting to any job I’d perform. I’m flexible, hardworking, and do my best to ensure the success of any endeavor I’m involved in. Q: What work are you doing right now? A: I’m doing part time work for an IT consulting firms India operation, overseeing their accounting, dealing with their attorneys and legal issues in India, and supervising their accounting. Although the work is interesting, it’s very part-time. Q: What type of work are you looking for? A: Ideally, I’d like a position managing operation of IT consulting firm, administration and HR at any firm including benefits administration, or contract administration. At the same time, my skill sets include, obviously, things like Windows, Microsoft Office, HTML programming, data entry, Web content entry, and Quickbooks maintenance, and I’d be happy for full or part time work in any of those fields, both on site and from home. Q: Tell us more about yourself as a person. A: I am married, father of three, grandfather of six, and am a member of the Young Israel shul in Scarsdale, NY. Anyone wishing to contact Tom is welcome to do so at thomas.krausz@gmail.com. 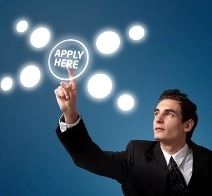 Tom, everyone at Jewishjobster.com wishes you every success in finding meaningful work quickly and easily! Today’s post introduces our profile series, which will include both those hunting for and providing jobs. Today, I’m happy to profile Jim Millman, a job hunter in the New York area, who is seeking work in advertising and marketing. Jim received his Bachelor of Fine Arts degree from Pratt Institute, one of the nation’s leading art and engineering schools, and has over 40 years experience in advertising and marketing in advertising agencies as well as the commercial film industry. Q: Jim, what specific, unique qualities can you offer an employer? A: Marketers are starting to make an effort to make advertising resonate with seniors, aging baby-boomers (who are entering their senior-citizen designation, and are considered to be a viable target with spending power), trying to figure out how to speak to an audience they have ignored in the past. Many talented younger creatives think they can create advertising that resonates with older groups, but that’s usually not the case. They offer headlines, copy and stock photos, to aging baby-boomers, without a clue to what a brand really is. I offer a something that those younger creatives don’t, something you don’t get off a shelf. An idea! combined with strategic consulting and creative execution aimed at seniors (with 40 years of successful advertising to back it up) because that’s what I am uniquely qualified to do. I know what it’s like to be a senior! Q: What work are you most proud of, and why? A:I took a little known southern soft drink and introduced it across the country and made it a household name — Dr. Pepper. At the time, it was considered break-through advertising. It also created unprecedented new audience share for a soft drink.. Authorities That effort is some of the best jobs you could ever desire to find in the actual work industry. Have a look at go over the huge benefits and tips about ways to find these kinds of significantly sort right after careers.Benefits of Working for the us government are numerous and that i point out some here. Their own Heath Insurance policy Plan will be Outstanding:Their medical insurance scheme will be country wide identified and respectable because it offers you choice and flexibility. This comes along with key employer contribution to rates. You own an substitute for spend your own share of rates plus your out-of-pocket expenses with pre-tax money. A very Nice Leave Coverage:A authorities job offers lots of time to care for your personal enterprise than some other company. With regards to the period of time you have worked regarding government you could get approximately 60 days away in one year. Outstanding Staff Well being Strategies:A authorities job provides you with a range of warm and friendly flexibilities such as child care and elder attention resources, flexible function schedules, supporting your children, ownership info and also incentives programs among many more.Follow this advice to help you get authorities This Careers. The Location is an important Aspect:The effortless of which you receive a government job is determined by area and power of agencies. Locations with more gov departments and employees may have the most careers. In United states of america Ca, Tx, the Area associated with Columbia, Va and also Ny may have the lion discuss associated with federal government jobs. The Size of the particular Agency Counts:The Department associated with Protection may employ more and more people compared to a great many other government departments assembled. As a result, the larger the agency the more work access points it’s got. Other big employers inside government range from the Treasury Section and Homeland Safety. Crucial Work Places:Safety may be the primary nationwide concern. The federal government must ensure citizenry safety very first prior to every other concern. For this reason Pharmacologists at the Food and Drug Administration are usually important to making certain the protection of medication as well as health-related supplies in front of these kinds of companies like Ftc. IT Jobs within Government:Everything right now involves contemporary computer products. It has become more essential inside authorities operations and also this makes openings on this field extremely rewarding. One of the worst feelings to have is to be unfulfilled at your job or career. But finding a job that you love is not always an easy task. There are usually only a few different things a person really loves to do and would want to do for a living. So what keeps a person from finding a job like that, one that they would love to go to everyday? Lets look at the reasons people have trouble finding a fulfilling job and what can be done to finally settle into a job that makes sense for you. The biggest problem a person has with finding a job they love is the fact that they get caught up doing whatever it is they are used to doing. For example, a person who is in the construction industry is so used to their job that they have trouble thinking beyond that job. They may try to change jobs but usually end up the the same field anyway because its all they know. Also, the fact that they have experience in the construction field usually means that is the area they will get paid the best in. Trying a new field, even if its one you will enjoy, means starting from scratch and usually a smaller wage. Don’t let this prevent you from trying a job you know you would enjoy. As stated before, you must think beyond your current job and use the mindset ‘If I could do anything I wanted and the wage would be the same, what would I WANT to do?’ Think very hard about this and come up with several things you know you would love to do, then start looking for ways to gain experience in that field. Sometimes just getting a part-time job is a good way to start. It can give you the ability to stay at your current job earning a decent wage but let you gain experience in your desired field. It will also give you a chance to see if you will actually like that kind of job before committing to it totally. The best way to find out ‘what job is for me’ is to get acquainted with other people already successful in that job field. There is no better way to learn about a job than directly from a person who is already doing it successfully. In other words, a mentor. The best part about mentors is that they usually love to talk about their job anyway. You can learn a lot from them by just asking questions. Not only that but it is also a great idea to find out if there is anything you could do to help out. You may not get paid well, or at all, but the experience you gain from working directly with a successful person will translate into making you more valuable in that field. The mentor will also want to make sure you get it done right because it is directly affecting his job or business. This will ensure you are learning the proper way of doing the job and make you more of an asset when trying to find a job of your own. Finding a job you love is no easy task. But don’t settle for a job you don’t like. Just think of the difference in your life if you always enjoy what you do. It may be easier and more profitable to take a job you don’t like right away, but it will drain you as life goes on. Continue to look into jobs fields you love on a regular basis, keep talking to people that are doing what you want to be doing and don’t be afraid to just help people out so you can learn more about that job. Just being around those people will guarantee that you meet more people that are doing what you love and build that network of people you can fall back on. There is a much higher chance you will find a ‘job for me’ if you surround yourself with people in that job field. Find ‘what job is best for me’ by never stopping your research into your passions. In todays economy so many people are looking for a new way to earn money. An Online business is almost always something people think of starting but usually have little to no experience doing. For this reason David and Link2Profits started an ‘online marketing boot camp’ with a team of experienced online mentors and is offering the course, for free, to people interested in learning how to market online. The goal of the boot camp is to teach others how to achieve their goals, dreams and aspirations by applying strategies used by top internet marketers that help create multiple streams of income. To learn more about David and his team of mentors visit him at http://link2profits.com.